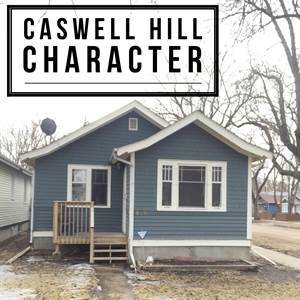 Super cute and charming character home in Caswell Hill. Meandering down the tree lined streets of Caswell Hill you'll find a true gem at 219 32nd st W. Situated on a corner lot with great sight lines of the neighbourhood and un obstructed views out most of the windows in the house. Walking up the immediate charm if the house is apparent. Repainted exterior blends seamlessly with the surround character homes and will provide years of low maintenance. Inside you'll find a large bright living room. This is a great space and is flanked by the original piano windows and beautiful coffered ceilings. Lots of light opens the space up. The adjacent dining room is very big for this era of home. Because its on the corner lot the dining room has a large set of original wood trimmed windows that add to the charm of the space. A gorgeous chandelier hangs in the center of the coffered ceilings. The kitchen on this home maintains the character vibe with timeless white cabinets and a newer counter top. All appliances are included as well. 3 bedrooms on the main floor is somewhat rare in this vintage of home. The additional square footage of this home allows for that. It also makes for larger more open spaces. All 3 bedrooms have new flooring and closets. The main bathroom is cute. A nice full tub with custom tiled surround. The basement of this home has a lot of potential. Currently there is the 4th bedroom and 2nd bathroom. It has space for a rec room or den as well. Its a full hight basement and is clean and dry. Lots of usable space unlike most homes in the area. Out back there is a fully fenced yard, single detached garage and plenty of off street parking. Again because we are on the corner this home has lots of room around it and with all the large trees its quite private. 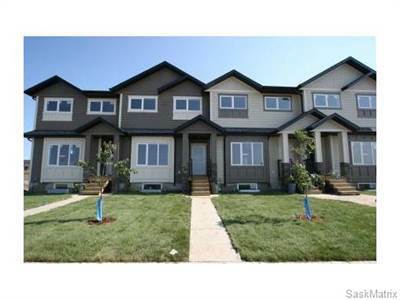 Close proximity to the down town, shopping, grocery and amenities make this location great. Caswell Hill has been call and is referred to as the "Broadway area" of the west side. Its a diverse, safe and artsy community. A great place to live. Lastly this home has newer mechanical and electrical. Newer furnace, 4 year old water heater and modern wiring add value and reduce future costs of this home. Truthfully there is not much to do but move in and enjoy. So don't delay…Call today! 303 207 Tait Place in Wildwood is Sold! Posted on March 28, 2017 Categories UncategorizedLeave a comment on 303 207 Tait Place in Wildwood is Sold! 132 663 Beckett Cr in Arbor Creek is Sold! Posted on March 20, 2017 Categories UncategorizedLeave a comment on 132 663 Beckett Cr in Arbor Creek is Sold! 103 1001 Main St in Varsity View is Sold! Posted on March 20, 2017 Categories UncategorizedLeave a comment on 103 1001 Main St in Varsity View is Sold! Chic, stylish, luxurious… are just a few words to describe your new condo. 18-111 Rosewood Gate N is a stunning high end luxury condo in the heart of Rosewood. This fully finished unit is virtually new and shows that way. Pulling up the character of the town house is evident. Entering your greeted by a large foyer with hand laid tile floors and a large closet. Inside, the living room is large and bright. A focal fireplace anchors the space. Its quite chic and trendy. A large dining room adjacent to the fireplace is a great space to entertain or for all your family gatherings. Just opposite to the dining area is a nice desk and built in office nook. At the back on the main floor is a large kitchen with equally spacious island all covered with stunning granite tops. There are loads of counter and cabinet space. All high end stainless steel appliances are included. Just off the back entry is the main floor powder room, pantry and coat closet. Upstairs is a stunning master suite. Large bedroom with big closet. The bathroom has a full tub and shower along with his and hers sinks. The 2nd and 3rd bedrooms are spacious with full closets. There is another full bathroom up again with granite counter. The basement is finished on this unit and it's glorious! A huge rec room that allows for a multitude of uses. From a games room to rec space to media room, it has the space for anything. A 4th bedroom with ensuite door into the 4th full bathroom. The bathroom has lots of built in shelves and is rather large. This condo comes complete with a double garage and fully fenced (yes you read that right) yard. Along with A/C and window coverings this condo is move in ready. Rosewood is a great neighbourhood and i know you'll love living there. Don't delay…Call on this one today! 61 Sparling Cres in Brevoort Park is Sold! Posted on March 20, 2017 Categories UncategorizedLeave a comment on 61 Sparling Cres in Brevoort Park is Sold! 1312 Cascade St in Adelaide/Churchill is Sold! Posted on March 7, 2017 Categories UncategorizedLeave a comment on 1312 Cascade St in Adelaide/Churchill is Sold! Welcome to Trillium…Welcome home. Your new condo awaits along with all the amenities that go with it. This trendy unit offers you all the modern, sophisticated features you've come to expect along with a few exciting bonus's. 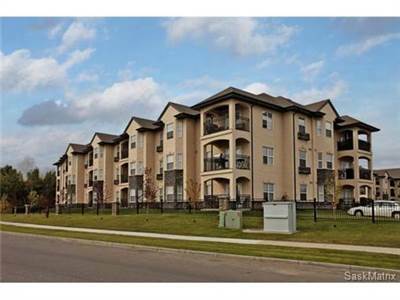 Located in Stonebridge, this main floor corner unit sits in a great spot. Located in the quiet side of the complex it is directly across from a couple parks and the neighbourhood trail network. Inside you'll immediately notice the upgraded entry way with new rustic tile flooring. Just adjacent to the entry is the large storage room and in suite laundry. The dining room is large and is perfect for entertaining or dinner parties. The additional seating on the kitchen island is a great added feature. The kitchen is rather trendy and is a very cool space. Upgraded cabinets and high gloss upper cabinets give this space a modern look and feel. There is a glass tile back splash and all stainless steel appliances are included. The living room is large and super bright. Because it is a corner unit you have additional options for furniture set up and the extra windows let a plethora of light flood the space. It really is a great space. Double patio doors lead to the large south west facing covered deck. Again because of the corner you have an unobstructed view all around. This unit comes with 2 parking stalls and is perfect for university students, first time home buyers and investors alike. The notable features and upgrades to this unit are; All window coverings are included. All the appliances are included. Fridge, stove, washer, dryer, OTR microwave and built in dishwasher. Corner unit with extra windows, 2 bathrooms with a spacious master suite and walk in closet. The Trillium rec centre is awesome. It comes with a soothing salt water pool and hot tub. A full exercise room, a games room and a fire side lounge. This space is great for larger gatherings and comes complete with BBQ area and outside bar. With all this unit has to offer, the price, style, and location don't delay on this one…Call today!